JOIN US TUESDAY NIGHTS FOR UNLIMITED PLAY 3PM - 9PM ONLY $20. We are open an hour earlier during certain holidays. Where family entertainment becomes the ultimate adventure! Rain or shine, come and explore Safari Land’s 62,000 square feet of indoor rides and amusements! Safari Land is family owned and operated and just celebrated its 16th year in business. Enjoy an adventure - 62,000 square feet with eight INDOOR rides, 12 lanes of bowling, and over 100 arcade games. 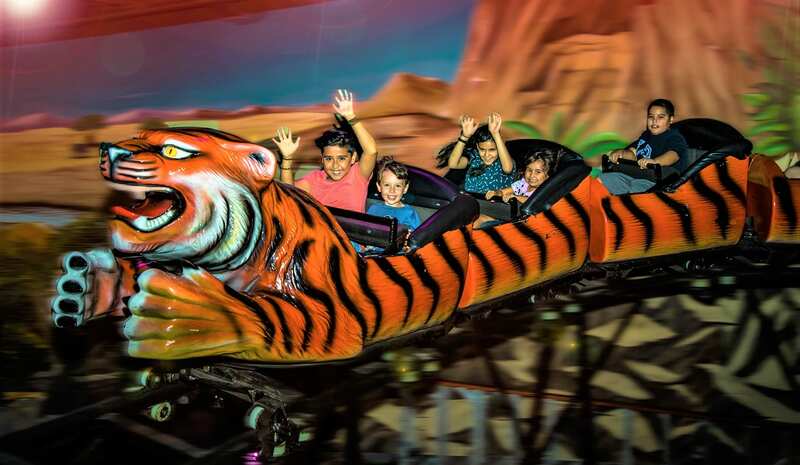 There is something for all ages whether it’s our Lion’s Den soft play area or our Merry Go Round for the little ones; for our thrill seekers we have the MaxFlight Simulator or our Tiger Terror Roller Coaster. There is never a charge for parking or admission and we have private rooms to host any size party or event. We offer the option of the daily wristband for the rides or you can purchase an adventure card that can be used for our arcade games and/or individual rides. 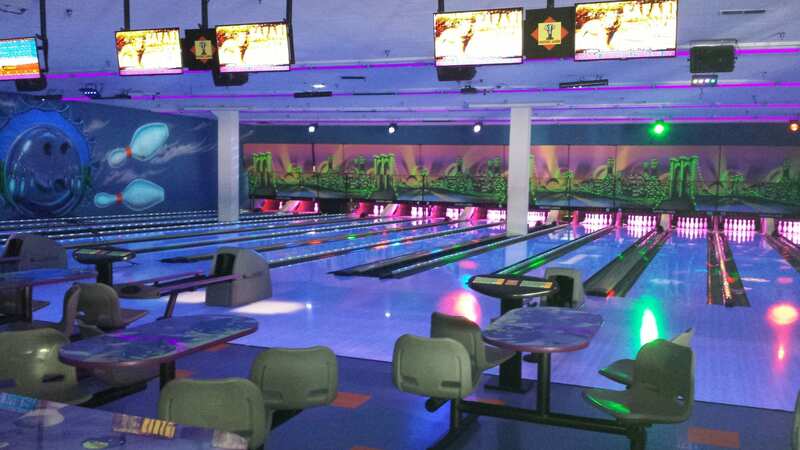 Our bowling alley is open daily with Cosmic and Black Light bowling for no additional fee. We even have four billiards tables in case bowling is not for you. In addition, we have the Atlantis Restaurant offering a wide variety of food from appetizers to desserts. For the grown-ups there is a full bar for a bottle of beer or party cocktail. Safari Land is the perfect place for parties, field trips or group events. We have 14 private, party rooms with different party packages to choose from. Since we are indoor... you will not need to worry about the weather ruining your event!